Over the last month few months, IDC members and friends in the MENA Region have produced some very welcome research reports into the state of migrants either in – or at high risk of – immigration detention in the region. It is hoped that the information and migrant voices in these reports will help continue the vital work of influencing policy makers on both sides of the Mediterranean Sea, as well as raising public awareness of denial of fundamental human rights of all those – but particularly children and young people – migrating to and through the Middle East and North Africa. 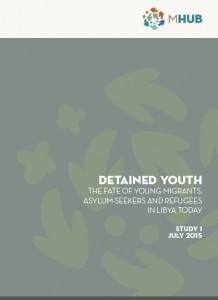 Here we would like to draw your attention in particular to the MHub Detained Youth report, which focuses on the current situation faced by young migrants in Libya. At the IDC MENA meeting in June, we were inspired by the stories of our local colleagues who weekly visit places of detention in Libya, some of which regularly change hands between government and other forces, even between their visits. As the anecdotal evidence in this report suggests, the non-food items brought in by local NGOs are vital to not only the health, but also the identification and even the survival of many who are arbitrarily imprisoned, sometimes for years. 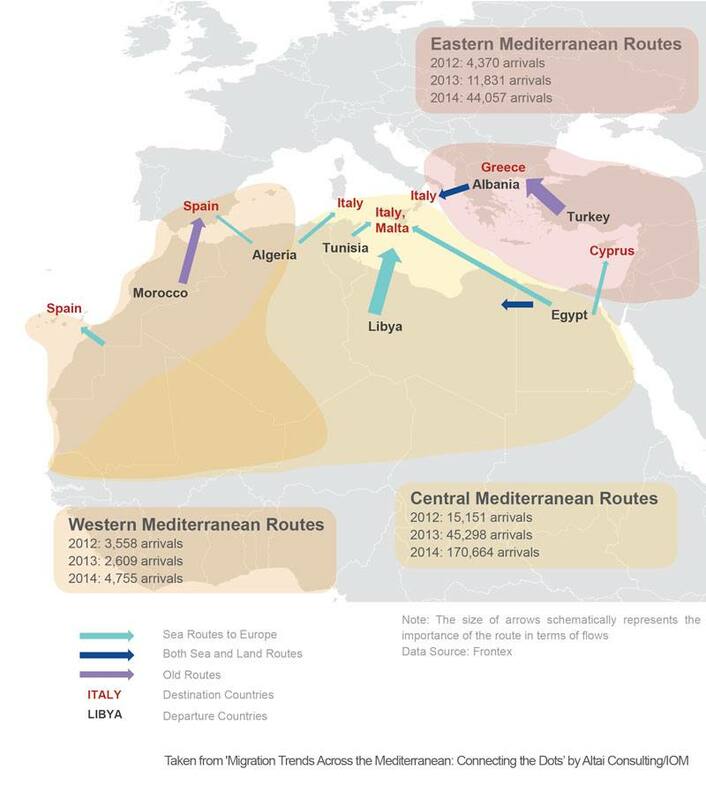 Similarly, the report Migration Trends Across the Mediterranean: Connecting the Dots prepared by Altai Consulting for the IOM MENA Regional Office and recommended to IDC by UNHCR Libya, combines an excellent overview of the inter-Regional mechanisms already in place, as well as the current situation on the ground in many countries. The report provides many concrete insights into trends which have a tendency to be sensationalised in public opinion. For example, some may be surprised to learn that despite the prevalence of media attention on irregular migration to Europe, only 10% of migrants to Spain came by boat from sub-Saharan Africa through the Mediterranean.